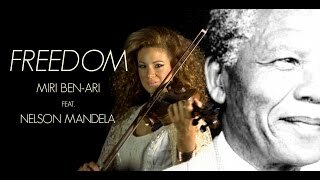 Grammy Award-Winning violinist/producer/humanitarian, “UN Goodwill Ambassador of Music” to the United Nations, a featured blogger, and CEO of the non-for-profit organization Gedenk, promotes Holocaust awareness and tolerance to young people. Miri Ben-Ari, originally from Israel, has created her own unique music; a revolutionary fusion of classical, Hip-Hop, soul and dance. A classically trained violinist, who once studied under the late classical master Isaac Stern, Ben-Ari has helped sell millions of records by collaborating with other Grammy award-winning artists such as Kanye West, Jay Z, Wyclef Jean, Alicia Keys, Wynton Marsalis, Britney Spears, Maroon 5, Akon, Patti Labelle, Brandy, Donna Summer, Janet Jackson, John Legend, Aventura, Diamond Platnumz, and Armin Van Buuren. 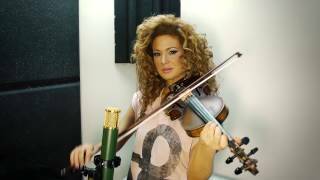 Her album “The Hip Hop Violinist” on Universal Records features many of these collaborations. Ben-Ari has been the face of many promotional campaigns, including Reebok, Vodafone, Pepsi , Coca-Cola and Harman Kardon. Among Ben-Ari’s accolades are the “Grammy Award” for “Best Rap Song”, an “Apollo Legend” by the Apollo theater in New York City, “International Jewish Woman To Watch”, the “Martin Luther King Award” from Israeli President, Shimon Peres, “Remarkable Woman” by First Lady, Michelle Obama , “Girl Up Advocate Award” from the United Nations Foundation, and the “Ellis Island Medal of Honor” be Neco.